The Department of Defense (DoD) is committed to providing a high quality response to sexual assault survivors. 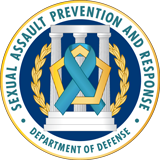 The DoD Sexual Assault Advocate Certification Program (D-SAACP) was established to standardize sexual assault response to victims and professionalize victim advocacy roles of Sexual Assault Response Coordinators (SARC) and Sexual Assault Prevention and Response (SAPR) Victim Advocates (VA). Information about D-SAACP goals, outcomes, structure, and benefits of the certification process can be found in the program overview. Additionally, the Department of Defense Instruction (DoDI) 6495.03 establishes policy, assigns responsibilities, and prescribes procedures for the oversight, management, and implementation of the D-SAACP. Please reference the applicant instruction found in each of the DD Form documents or in the FAQs document below for questions about filling out and submitting DD Form 2950 (first-time applicant) or 2950-1 (renewal applicant). Continuing education opportunities ensure that the military's SAPR professionals are receiving the tools they need to prevent and respond to sexual assault. It is our aim to field innovative prevention strategies, new training approaches, and the incorporation of best practices for SAPR training to instill an environment that provides dignity and respect for all. Each military Service and the DoD has Victim Advocate (VA) continuing education training that has been approved by the D-SAACP Review Committee. Find requirements and guidance for D-SAACP certification renewal in the following information sheet. The actual number of Continuing Education Units (CEUs) for a given training is determined by the number of hours of actual classwork time. For example: a SAPR VA takes a two-day course. After subtracting eight 15-minute breaks, 2 one-hour lunches, and 2 one-and-a-half-hour sessions allotted for physical fitness, the SAPR VA only had 10 hours of actual training. The SAPR VA receives 10 CEUs for the course. Below are online continuing education opportunities that meet Victim Advocacy Ethics or Advocacy / Prevention requirements to maintain D-SAACP certification. Each of the options provided meets a portion of that requirement; check with the provider to learn what portion of the total each training option fulfills. 1 hour Training Session - "Ethical Practice: Sexual Assault Victim Counselor Training"
AMSAAT is an optional course developed in collaboration with the Department of Justice Office for Victims of Crimes (OVC) that fulfils 20 hours of the annual D-SAACP renewal advocacy / prevention certification requirement. For more information and to register for the AMSAAT online training. 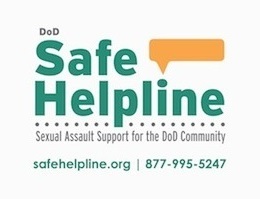 An online community of practice managed by SAPRO to collaborate and share ideas to enhance sexual assault prevention and response programs across the DoD. SAPR Connect often posts continuing education opportunities for D-SAACP renewal certification. Refer to the site for more information on upcoming trainings. This list of FAQs supplements the Applicant Instruction found on DD Form 2950, and pertains to the D-SAACP application process, and the certification program in general. If an applicant has a question not addressed by the DD Form 2950 video, or this list of FAQs, please contact DSAACP-Followup@trynova.org for assistance.